Practicing regular tree maintenance is an important part of being a homeowner. Not only does it help improve your landscape’s appearance, but it also ensures your greenery remains healthy. Yet, tree pruning and other tasks are best left to the professionals, and for good reason. The team at L & M Tree Service, based in Kalispell, MT, is here to share a few common tree care mistakes, along with some reasons why a professional is your best option. Known as “topping,” chopping the top off is an easy way to weaken the tree’s integrity. When the crown is removed, it essentially starves the tree of vital nutrients and sends it into shock. When this happens, new growths develop from existing branches very quickly, yet these sprouts are often quite weak. Unfortunately, it’s not unusual for homeowners to prune trees simply because they’re in bad shape. However, there are optimal times of year to prune, the best being the period between winter and spring, when trees are dormant. Tree pruning is a key way to maintain their vitality, but removing too much can be detrimental. No more than 20% of the tree should be trimmed; overdoing it cuts off the tree’s vital nutrients and prevents it from growing back properly. Being overzealous with the trimmer can also prove harmful to the tree. When you remove branches that are healthy, its stability is destroyed. And cutting too closely to the trunk can actually cause “sores” in the tree, leaving it vulnerable to developing diseases. 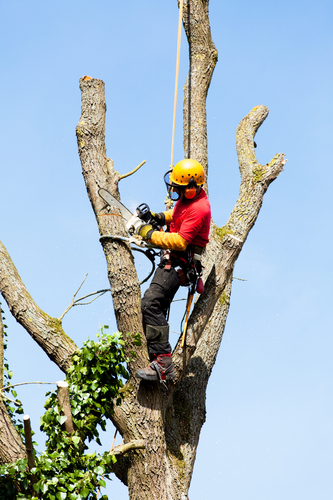 Although it seems easy enough to grab a tree trimmer and go to work, a professional is your best bet for basic tree pruning and maintenance. Experts will schedule your service at the appropriate time of year. They also recognize the branches that are safe to cut, how much should be removed, and what can be done to improve the overall health of your trees. If it’s been a while since your trees received some attention, it’s time to think about scheduling an appointment with a professional. Rely on the team at L & M Tree Service to inspect your landscape, perform removal as needed, and shape other trees to perfection. Visit their website, or give them a call at (406) 261-7240 to schedule a consultation.